Botox is the trade name for a purified medicine derived from botulinum bacterium. Over the past 15 years, this potent substance has been used for the treatment of many conditions caused by muscle spasm. The first FDA approved use of Botox was for blepharospasm (eyelid twitching) treatment. 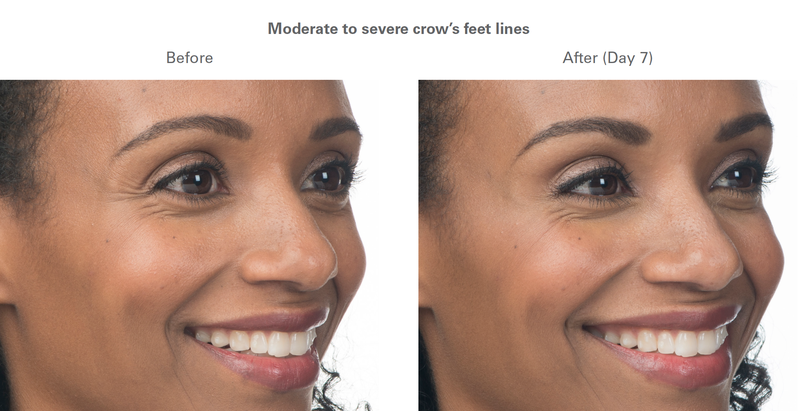 Dermatologists noted that when blepharospasm patients were treated with Botox, their crow’s feet and surrounding wrinkles disappeared. Botox has since been developed into an extremely effective treatment for natural wrinkle lines that occur with muscle movement. When Will I Notice a Difference and How Long Does It Take To Work? The full effect of Botox is usually not apparent for five to ten days after the treatment. The duration of the Botox effect varies with each individual. Botox is usually metabolized in approximately four to six months. Patients may choose to have maintenance treatments. The interval between re-treatments may increase with ongoing maintenance treatments. Some patients can be maintained on yearly treatment sessions. The procedure involves injecting Botox in the area to be treated with a very tiny needle. The actual treatment takes approximately 15 minutes. Botox treatment requires no recovery time and has a very low incidence of side effects. The most common side effect is bruising at the injection site, but this is uncommon, minimal and temporary. 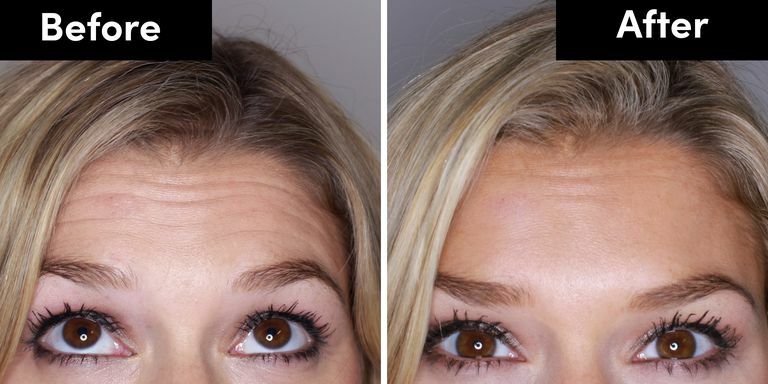 Botox injections to reduce frown lines on rare occasions may temporarily cause eyelid drooping. In the rare case when this occurs, it is typically noticed in the first week or two after treatment and usually resolves within four weeks. If eyelid droop occurs, a medication may be prescribed to help alleviate this temporary condition.